On November 21st, we received the award for "Best Industrial Customer" during the DISCA'18 Award show. An award that is a recognition from our supply chain, and one that we are very proud of. 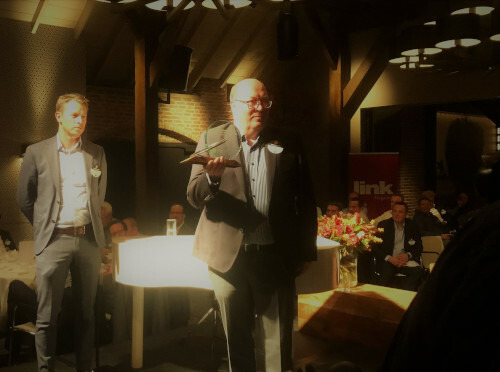 The DISCA (Dutch Industrial Supplier and Customer Award) is an initiative from Link Magazine, a renown Dutch management magazine. 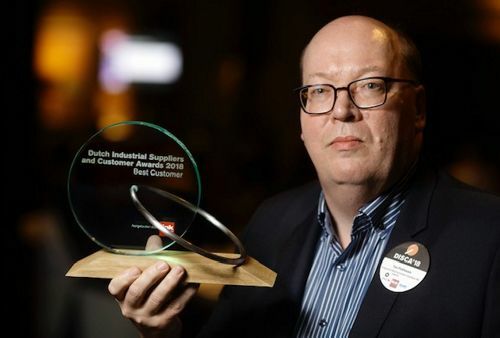 This an election where the best industrial suppliers and outsourcers from the Netherlands compete for a prestigious award in several categories. What’s special about the DISCA, is the fact that the companies can not nominate themselves but have to be chosen and nominated by their suppliers. Suppliers judge their customers on fifteen different points, such as communication and the latitude they get to bring in their own specialism. A total of 195 companies were nominated for ‘Best Customer’ this year. During the awardshow, the final 5 nominees are reduced to 2 finalists. These two finalists received the best ranking from the jury. But the final decision on which company wins the awards lies in the hands of the audience. The two finalists are presented to the audience, both by a live pitch of one their suppliers who is also a jury member. We were put in the limelight by our partner Masevon Technology Group. Our long-term partner Masevon had its Sales Director Elgar van der Bij speak about the relationship with IMS. “A customer that challenges us everyday”, said van der Bij and added “We get the chance to develop and build systems together, which is great”. Fine words from a valued partner, that confirms the tight relationship we have with them. Thanks to these find words, the audience voted for IMS as winner of the Best Customer award 2018. A prize our CEO Ton Pothoven very gladly accepted!